As a martial arts instructor it is my responsibility to look to the development of the entire student. There are three primary purposes of learning Tang Soo Do: Self Defense, Better Health, Better Person. The first two purposes are fairly obvious. Tang Soo Do’s early developed evolved during an almost constant state of warfare in the early history of the Korean peninsula. 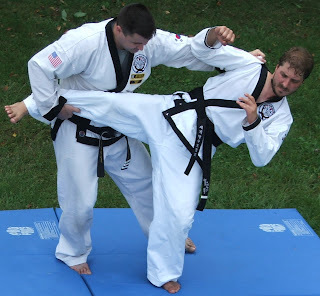 The self-defense aspect of Tang Soo Do is a direct result of learning to use martial skills in combat to protect yourself, your loved ones and your kingdom. The physical nature of learning the self-defense skills naturally lead the practitioner to develop stronger-healthier bodies. The third purpose (better person) does not immediately jump out as an obvious purpose of training in Tang Soo Do. In the past I have discussed the goal setting skills that are inherent to Tang Soo Do. This skill lends itself to becoming a better person but it is not the core of how and why. Why should the Tang Soo Do instructor want to develop his students to become better people? The answer is simple. We teach the skills that can potentially take the life or livelihood of another person. As instructors we have a moral responsibility to be sure those that we teach use their skills only in righteous ways. To teach a student the combat skills of Tang Soo Do without also developing their concepts of humanity is reprehensible. Now that we understand the why it is important to understand the how. As an instructor it is important to discuss with the students the philosophies of the seven tenets and five codes of Tang Soo Do. We must also speak with students individually to uncover the challenges that they face in everyday life. 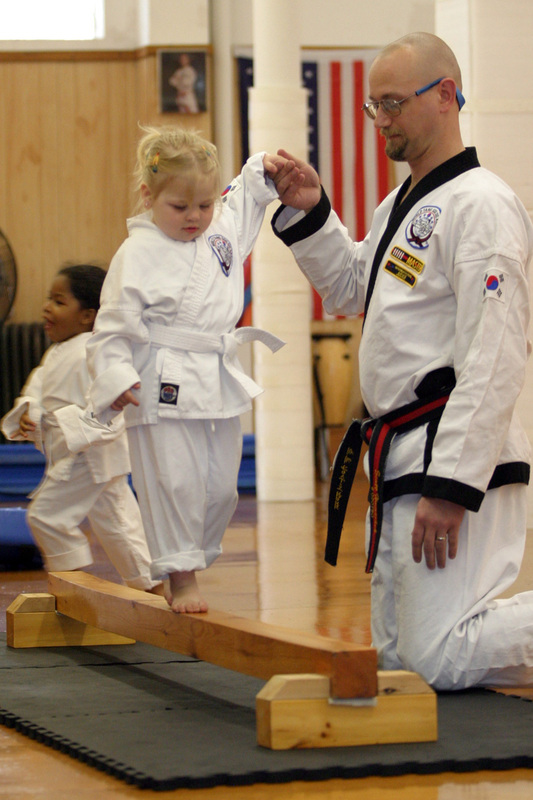 When working with children it is often necessary to work with the parents to mold the ideals of Tang Soo Do with their goals as parents. When the instructor understands the challenges and goals of the student they can help to steer and guide the student down the correct path. The specific methodologies that are used to guide the student vary depending upon the individual. Typically we utilize the goal setting skills previously discussed with a plan to steer them on the path. Ultimately the goal of the instructor is to teach the student the value of self-evaluation. To help them develop the skills to determine proper action from improper action. 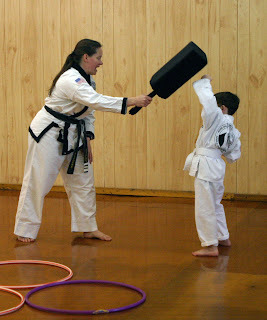 As instructors it is sometimes necessary to hold a student back from promotional testing until they are able to demonstrate they have improved their understanding of the five virtues of Tang Soo Do. Trust, Humanity, Respect, Etiquette, Wisdom. Students should demonstrate by their actions a continually improving understanding of these virtues. If the student lacks the proper level of understanding they should remain at their current level of training until they can demonstrate this understanding. Often times the student or the parent of the student will not understand the importance of this development. Western society believes in the time-served concept. If I spend a prescribed amount of time at this level then I should automatically be granted access to the next level. Martial societies believe in progress through achievement. Show you have mastered a certain level and you will be granted access to the next level. Unfortunately failing to understand this principal will often leave students believing they are being treated unfairly. This is as far from the truth as possible. The instructor must establish the standards and constantly monitor the student’s progress against these standards. The instructor must be willing to deny a student the next level of training until they see they have adequately mastered the current material. To do otherwise is inherently unfair to all the students. The student who is granted access before they are ready will most likely not properly develop the skills necessary for future progress. The students who did properly develop the skills will feel that their accomplishment has been diminished because the bar was lowered for other students. It is the instructor’s responsibility to say yes and no to the students at the appropriate time. If a student should decide to quit training because they were told they are not ready then they truly were not ready to progress in the art. We hope that one day they will realize the lesson that was being taught and will return to the art. If they do chances are they will be ready to take that next step. If they do not, then the other students in the art will have a clearer understanding of the accomplishments that they have achieved. As Tang Soo Do instructors it is our job to ensure that the art does not get watered down to appease those who do not wish to learn the art by the methods that have been laid out before them. We are charged not only with preserving the art for future generations but also preserving the integrity of the art, even when it requires us to teach the hard lesson. Martial Arts Studio or Family Activity Center? When asked to describe River Valley Tang Soo Do Academy would you choose – martial arts studio or family activity center? The simple answer is: it is both. On the surface River Valley is a martial arts studio of the highest caliber. We utilize kick and punch to transmit the knowledge of the traditional martial art called Tang Soo Do. With the transmission of this knowledge come the changes that Tang Soo Do creates in all students. The changes that alter the way we look at the world; the way we look at ourselves, and our role in the world. At a deeper level we are a Family Activity Center. Whether you are the only member of your family who trains or one of many in your family that trains, the impact is the same. We are a Family Activity Center. For the families that take the opportunity to train together the studio becomes an avenue of shared interest and mutual excitement. How many activities are available today that the entire family (child, parents, grand parents, aunts, uncles, siblings, cousins) can take an active part in? This is not the family watching a son or daughter compete in sporting event. This is families training side by side learning the same techniques and enjoying the benefits of training together. What better way to strengthen the bonds that make a family strong. For the individual this is an opportunity to make new life long friends. Tang Soo Do provides the individual the opportunity to not only improve themselves mentally, physically and spiritually but to enjoy in the camaraderie that is inherent in the training. Tang Soo Do teaches the individual how to trust in their own abilities and the importance of putting your trust in others. It would be impossible to train in Tang Soo Do if you did not trust the instructors who teach you and the students with whom you will practice. The trust that you develop in those with whom you train leads you to feel that they are like family members. You take pride in their achievements, you go out of your way to be there when they need a helping hand, you feel honor in their willingness to do the same for you. Students come to River Valley for many different reasons. Regardless of the initial reason we all go through a transformation. We continue to train because we want to learn more of this wonderful martial art, which leads us to continue training because this is the place where we feel we belong – participating in a great activity with our extended family. Of course there are many additional questions that can be asked, but these are the most common we experience when someone inquires about our Little Dragons program. As a martial arts instructor for over 25 years, including close to 15 years working with Preschoolers, I can put your mind at ease. Age appropriate martial arts instruction is fantastic for preschoolers. Children in these programs gain by learning: improved muscle coordination, better balance, patience, focus, proper listening skills, respect and self control. All this is accomplished in a manner that is fun and exciting for the child while laying the foundational building block for a lifetime of learning. These skills not only will improve their overall health they will help them be better prepared to enter into school and be a focused positive learner. 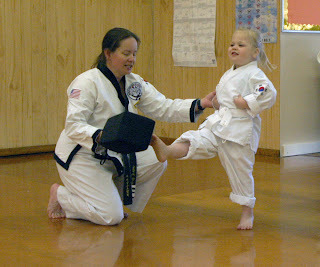 A good preschool martial arts program will use the basic techniques of the martial arts in a way that develops gross and fine motor skills while programming muscle memory that will carry over as the child get older and enters into a more advanced martial arts class. In a well formatted program the basic martial arts skills are also supported by other activities to build stronger bodies and sharper minds. This includes other coordination and strength building activities as well as learning the language and protocols of the traditional martial arts. Parents are often hesitant to start a child in a karate program for fear that this will teach them how to be a bully and start fights. The exact opposite is the truth. Preschool martial arts will teach them when it is appropriate to use their self defense skills and when it is inappropriate. The goals of the program is self improvement while also giving them the skills necessary to resist a bully’s advances and later on the ability to do the right thing when peer pressure wants to lead them down the wrong path. We have literally taught hundreds of preschoolers in our Little Dragons program. Many of our teen age Black Belts started as Little Dragons. I see them now as leaders not only in their karate classes but as leaders within their peer groups and communities. Their academic records demonstrate that they have learned the importance of cultivating the mind as well as the body. As our first Little Dragons are getting ready to move onto college now we are eager to see how they will continue to excel academically, and later in their professions and the communities where they will someday decide to establish their own families. 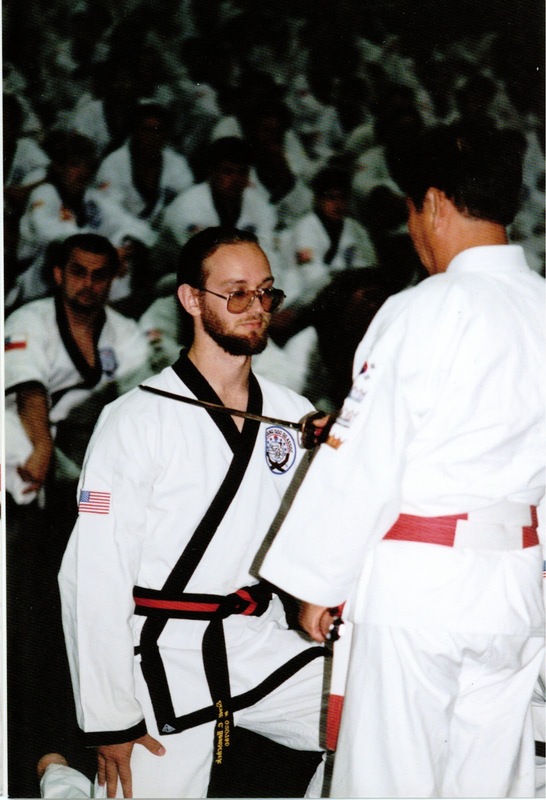 Why do Tang Soo Do Black Belts excel in class and out in the “real world”? 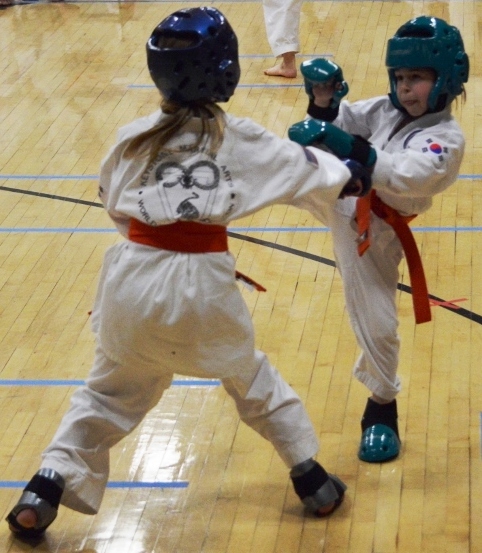 I often reflect on the successes that I see Tang Soo Do students have outside of the studio. I have seen the effects Tang Soo Do has had on my personal life outside the studio and I have certainly seen its success in River Valley students. If success was only found in River Valley students then we could say that River Valley was the common denominator. However, look beyond our immediate environment at the successes you see throughout the World Tang Soo Do Association and you will come to realize that the very nature of Tang Soo Do is responsible for the success you see. How does Tang Soo Do take “average” people and bring them to a level of high success? The process starts with the first class. At the first class we begin to teach kick, punch and block. But more importantly we begin to help students learn how to refine their techniques. The process of refinement is the key. This refinement process is occurring everyday in our studio and in studios across the Association. The refinement process is quite simple. Watch a technique, try the technique, evaluate your performance, ask how can you do it better, try the technique again, etc.. Using this methodology the student does not strive to just learn the technique, instead they strive to constantly improve the technique. This starts with teaching "choon be" (ready stance) and then front stance and then low block… Everything we learn in Tang Soo Do class goes through this process. At the earliest stages of development the student needs to be reminded of the process again and again. As a student progresses in rank they begin to adopt this process automatically. Success begins when the student enters into this process without thinking about it. When a student makes this process a part of their personality they will be successful at anything they put their mind to. Excellence is seen in those students who adopt this process in all aspects of their life. A student who truly understands excellence has the ability to start a task, quickly become skilled at it, give themselves credit for how well they are doing, but is never satisfied with their current level of performance, they always try to do it a little better. Sometimes their attempts produce results that are less desirable than previous trials. A student in search of excellence is not dismayed by substandard results when they try a new approach, they simply use the information gained to improve upon future results. Substandard results in this case simply indicate that previous methodologies were superior to the most recent attempt. Once this learning methodology takes hold the student begins to naturally apply this in all aspects of their life. This is the true beauty of Tang Soo Do. Kick, punch, block leads a student to excellence in all areas of their life. If you wish to be successful you need to accept that good enough is not good enough, and tell yourself that “I can do better!” then go about figuring out how you can make it better. I hope that every student who starts Tang Soo Do can enjoy the exhilaration of the quest for personal excellence. Students often get very excited about the prospect of competition. In the dojang we see students in the weeks before a tournament giving a little extra effort, training a little more seriously, and attending class more frequently. I applaud those students who are willing to put in extra effort to better themselves. In the case of preparing for tournaments I often feel that while the students actions are worthy of praise, they are often motivated for the wrong reason. The question I like to ask students is: “Who are you competing against?” Most of time the answer comes back as: an opponent, another student, an attacker on the street, etc… True Tang Soo Do training is indeed a competition; however, the person the student is competing against is themselves. Do not measure your progress, development, and achievement by using another person as a benchmark. You should set goals and use yourself to measure your success. How high could you kick your first class? How high can you kick today? How high do you want to kick tomorrow? When participating in a tournament do not judge yourself by the performance of others. We should not look at our friends in tournaments as opponents, instead we look at them as friends getting together to share our knowledge and experience in Tang Soo Do. Why do we give away awards? Trophies and medals are mementos of a job well done. The judges watch the competitors and recognize those students that most exemplify the ideals and techniques that characterize Tang Soo Do. Students should not focus on winning a medal; they should focus on winning against themselves. You win against yourself by training to become: stronger, faster, more agile, wiser then you were before. As you work to polish yourself you will find that the medals will follow without having to focus on them as a goal. Success is not measured by metal trinkets collected over the years at tournaments. Success is measured by the lessons learned, the progress you have made and the lessons you have been able to share with others. I encourage all students to attend tournaments to share in the camaraderie that is unique to the World Tang Soo Do Association. Go there to share techniques and ideas with your fellow students from around the world. The friendships that you will establish are much more important than any material possession you can buy or win. 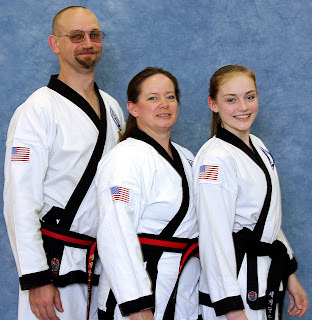 The information/content within the pages of the this web site is the property of the World Tang Soo Do Association and the River Valley Tang Soo Do Academy. The images and information contained herein may not be reproduced without the express written permission of the World Tang Soo Do Association and the River Valley Tang Soo Do Academy.